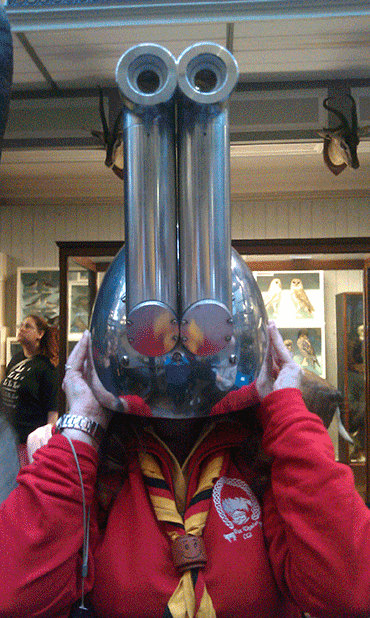 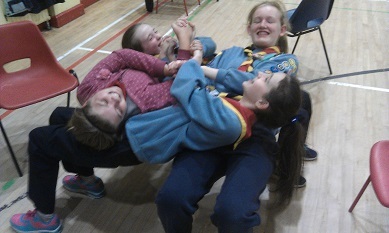 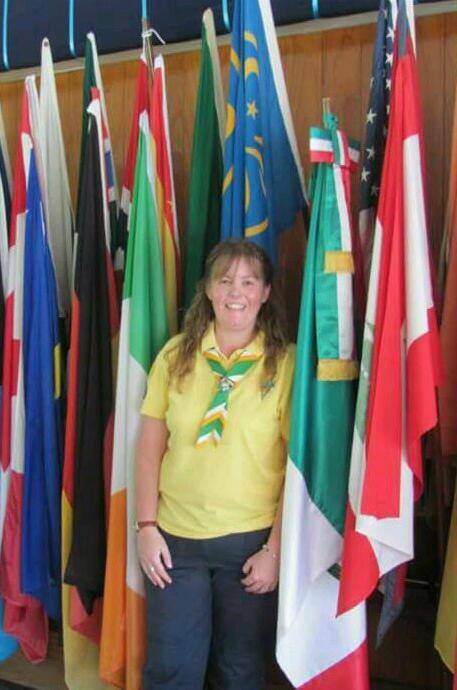 Raheny Guider completes term as International Commissioner & 15yrs on board! The last weekend in June, Guides, Rangers and Guiders from Raheny attended the National CGI 'Camp Funtastic' at Castle Saunderson, Co Cavan. 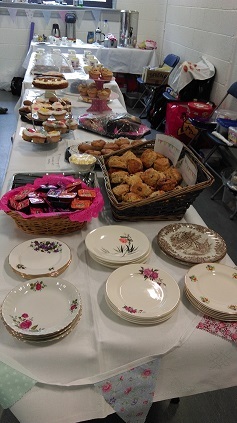 The Guiders organised a special cream tea on Saturday afternoon to raise funds for ISPCC and give the other leaders attending the camp a well earned break and tea from a real china cup! 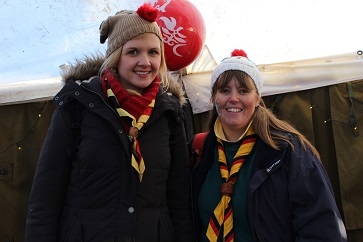 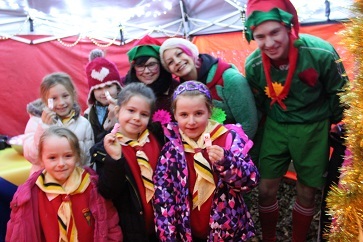 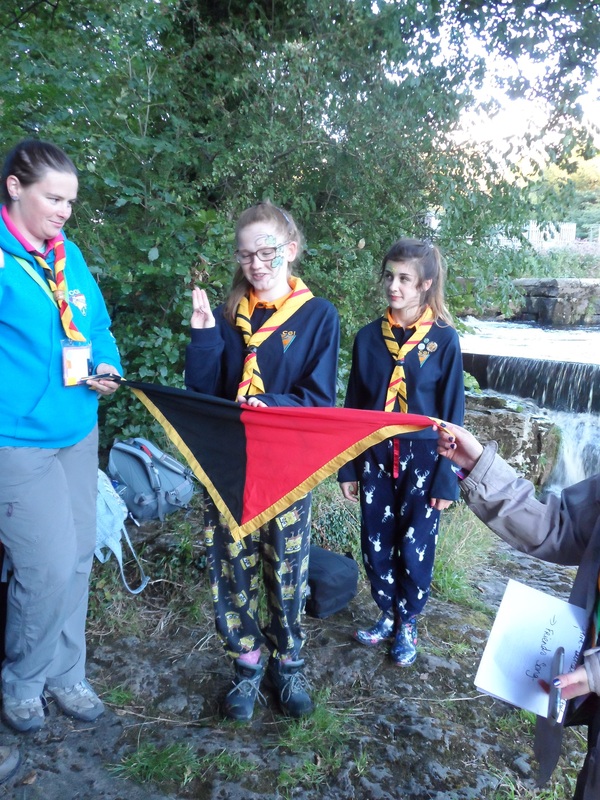 The girls had a great weekend, our latest two Guides to be enrolled kept on the tradition of unusual enrollments by saying their promises after the Campfire Songs had ended and the embers burned brightly on the camp fire. 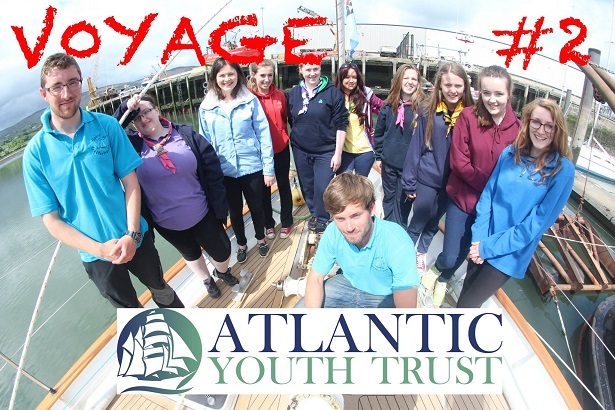 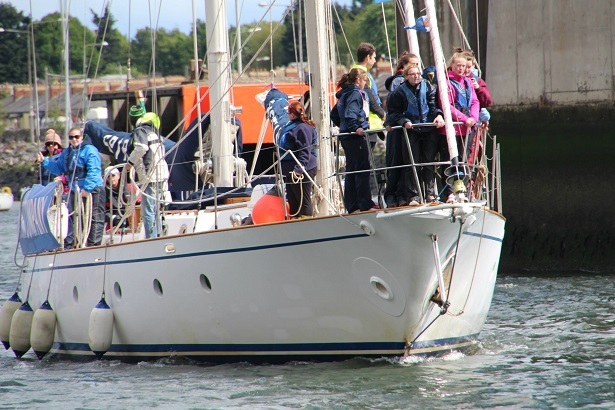 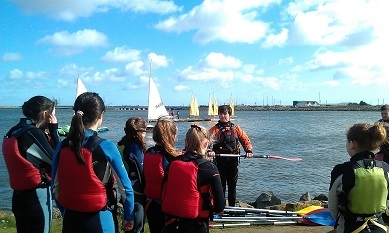 Raheny Ranger Caoimhe took part in a joint voyage between CGI and IGG on the Spirit of Oysterhaven during May 2015. 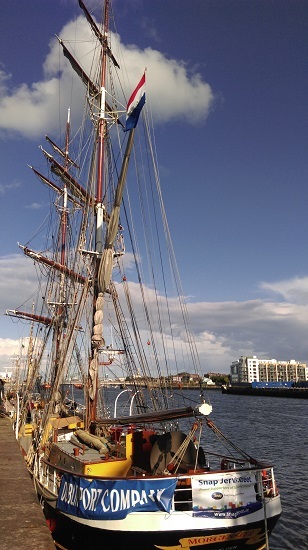 This was a once in a life time opportunity to sail on a Tall Ship and lead the procession in to Dublin Port for the Maritime festival. 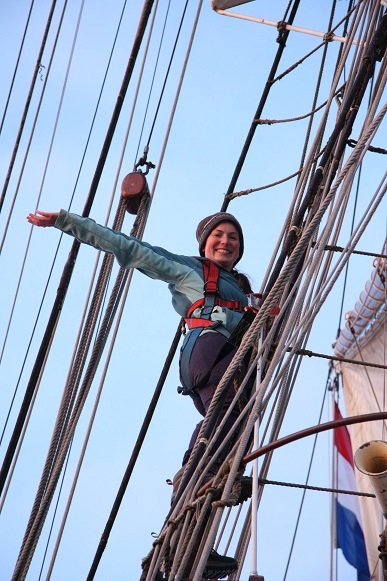 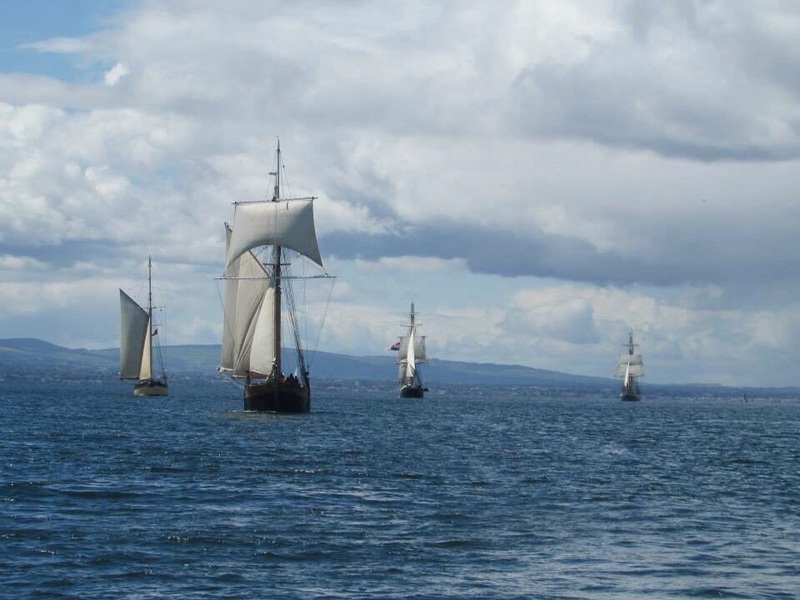 Raheny Guider Marie took up the chance to spend two weeks on a Tall Ship and sailed the Morgenster, sailing to the Isle of Man and Liverpool to be part of the Maritime Festival in Liverpool. 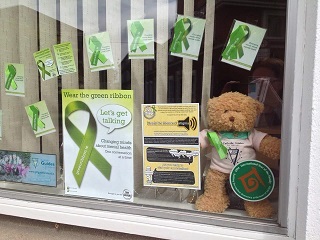 On Friday 15th May, Guides around Ireland could be seen at train stations, bus stations and some super markets, dispensing free green ribbons to help raise awareness on national Time to Talk Day, as part of the Green Ribbon Campaign to encourage Irish people to make the time and space for conversation about mental health. 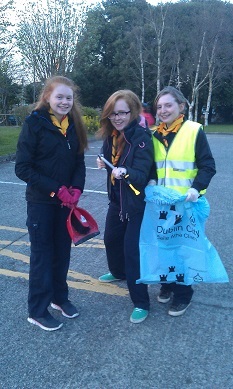 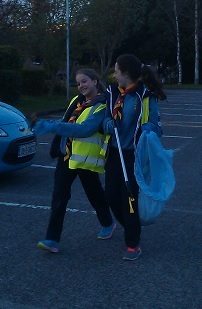 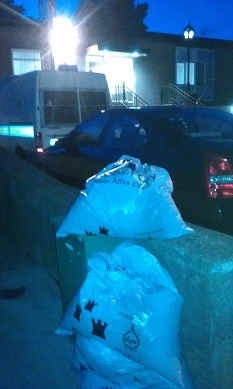 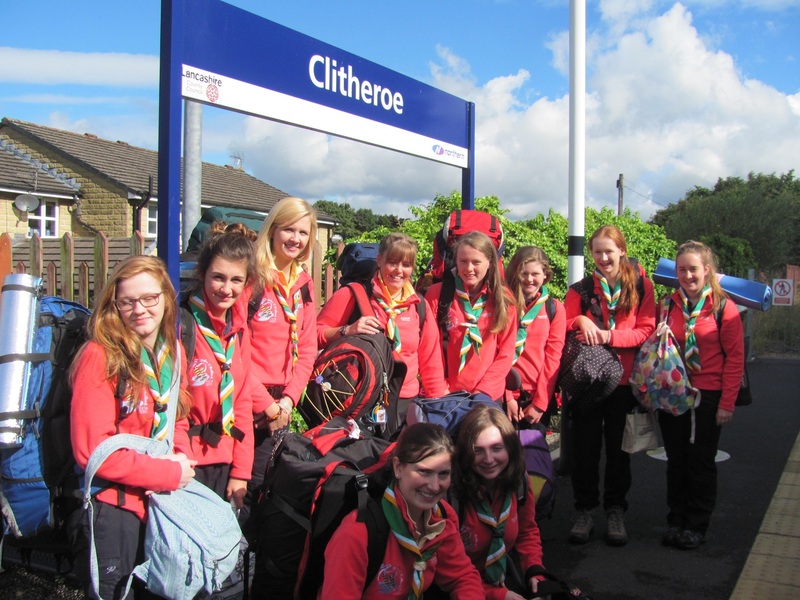 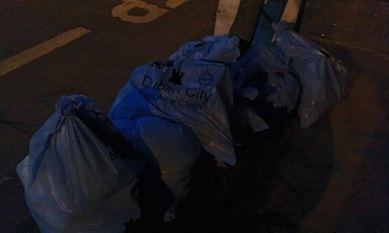 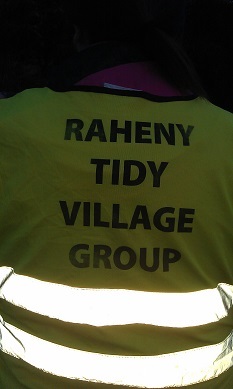 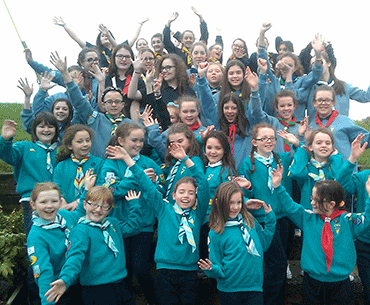 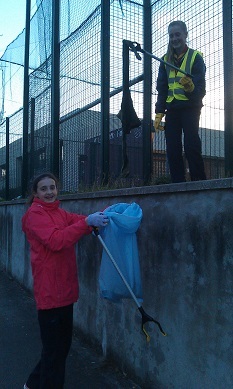 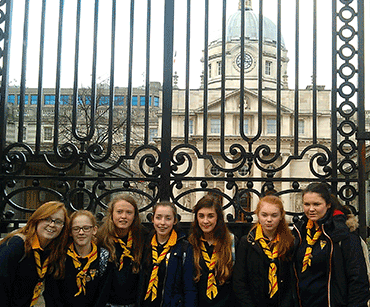 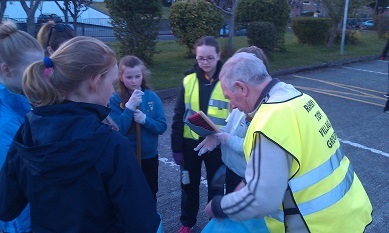 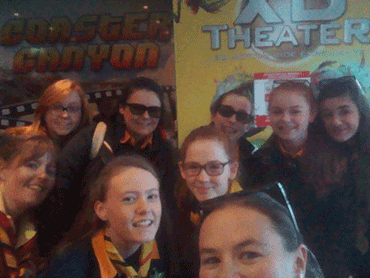 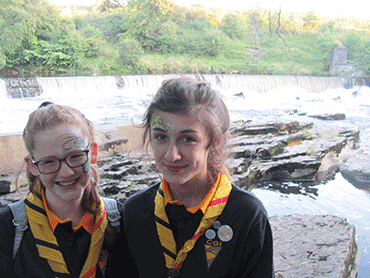 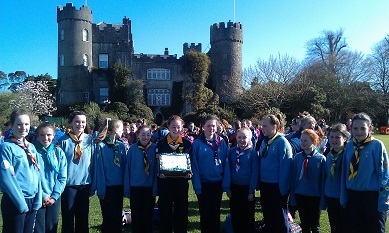 Raheny Guides could be seen at Raheny Dart Station. 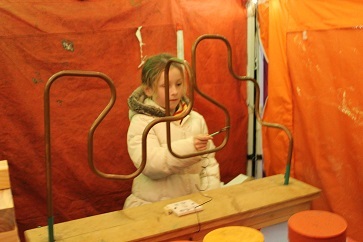 We'd also like to thank Mac Mahons Foodstore for also dispensing ribbons on our behalf. 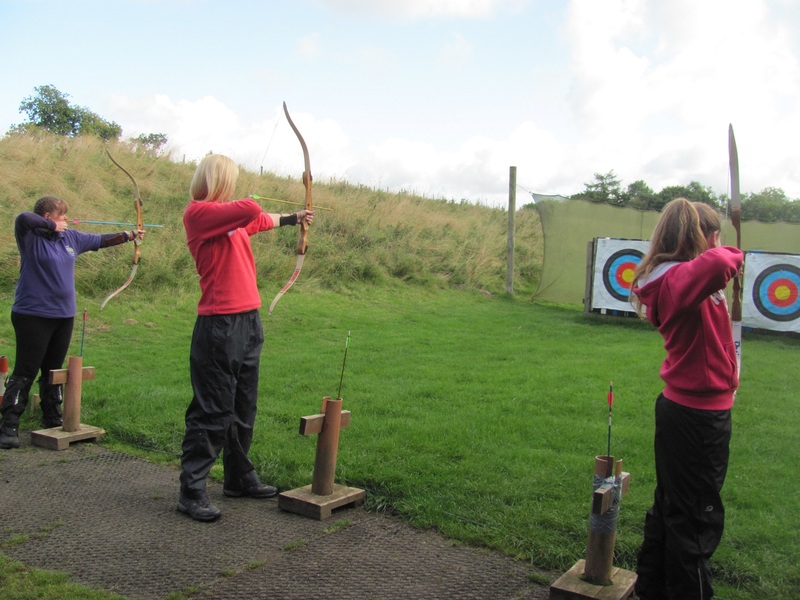 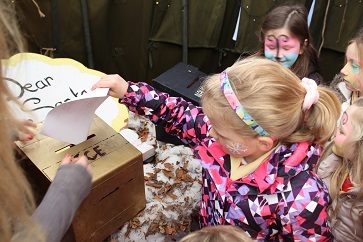 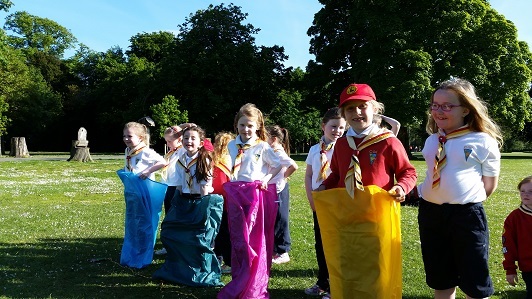 Guides from acrosss the Eastern Region came together for their annual outdoor skills day on Sunday 10th May in Larch Hill Scout & Guide Campsite. 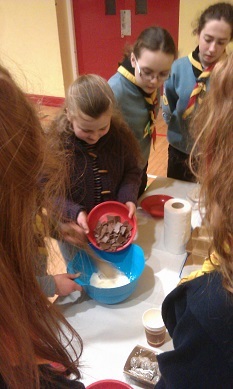 Bases included Backwoods Cooking, Tent Pitching, First Aid, Pioneering and a special visit from the Dublin Wicklow Mountain Rescue. 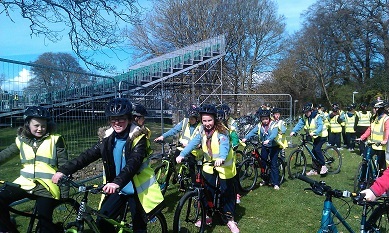 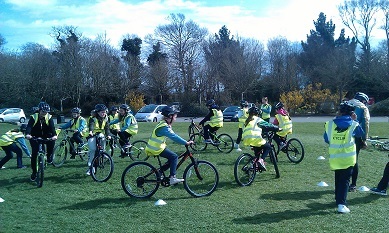 The girls had a great day and are looking forward to the National Camp in June to put their new skills to use. At CGI's National Council (AGM) on 26th April, Raheny Guider Yvonne Browne finished her term as International Commissioner. Not only that, she steped down from the National Board after 15years of service in various roles, also including Ranger Commissioner. 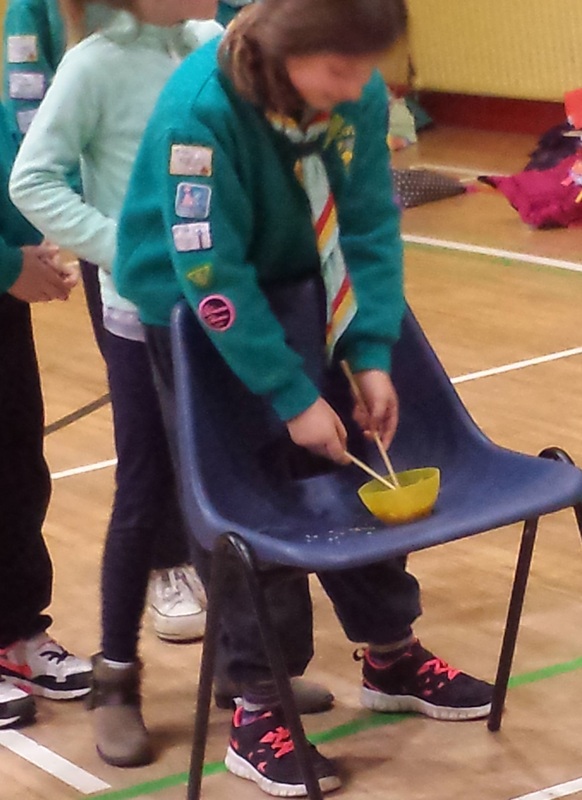 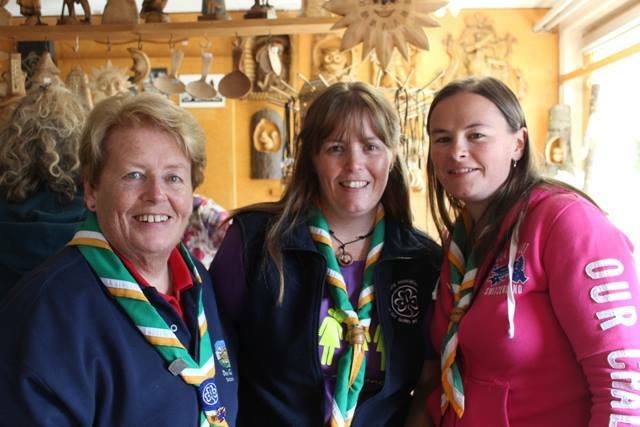 Yvonne organised many firsts during her time on the board, including the first National Ranger trip to a World Centre, Sangam, first CGI members to attend the World Scout Jamboree along with much much more. 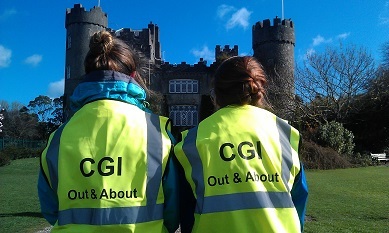 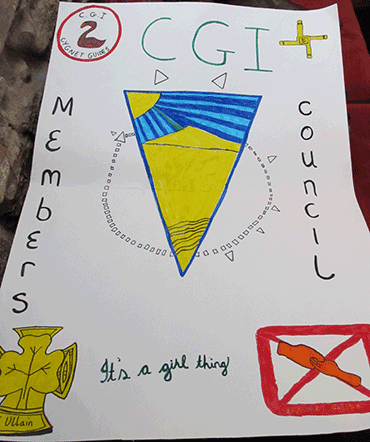 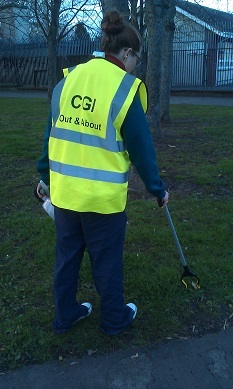 Always striving to give all the members of CGI the chance to expand their horizons through guiding. 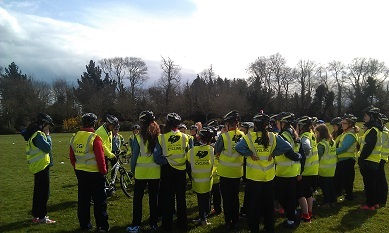 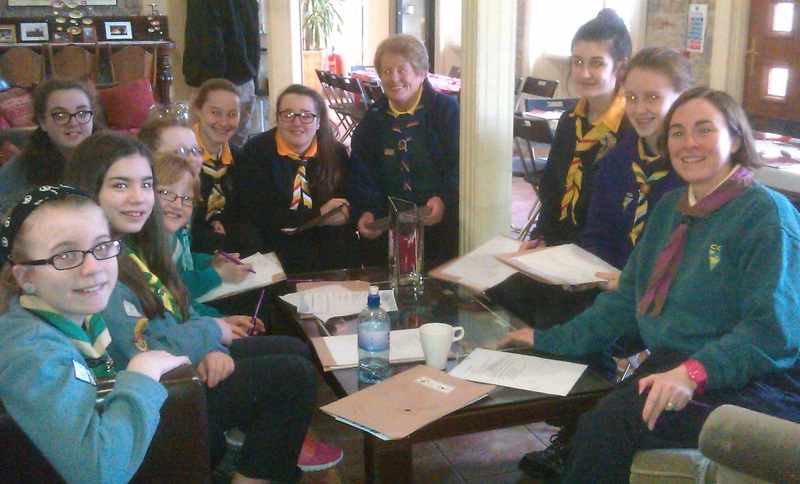 While doing all this, Yvonne has always remained dedicated to her own unit, Raheny, starting up the Cygnet Section during this time too. 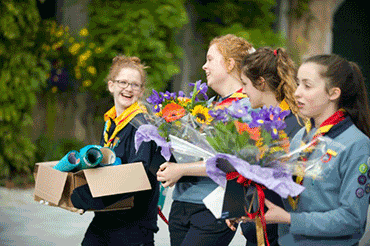 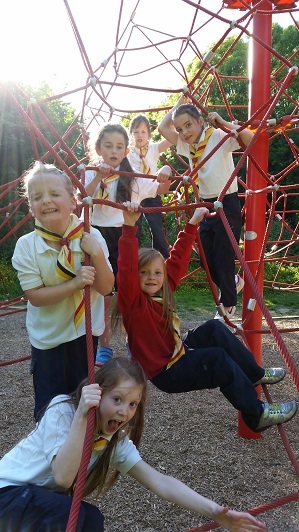 We're very grateful for all you do for guiding, in Raheny and beyond and would like to congratulate you on a great 15 years. We doubt it's the end of your career in National Guiding but you can take a well earned break from national guiding for a while. 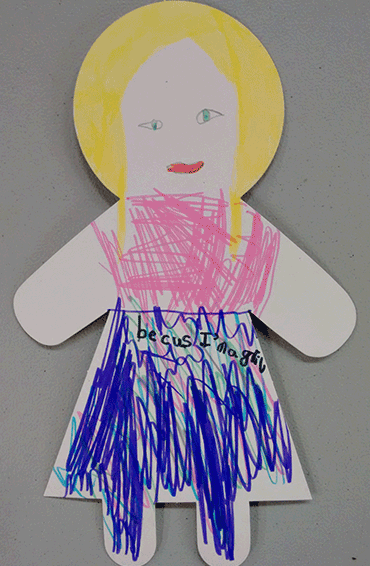 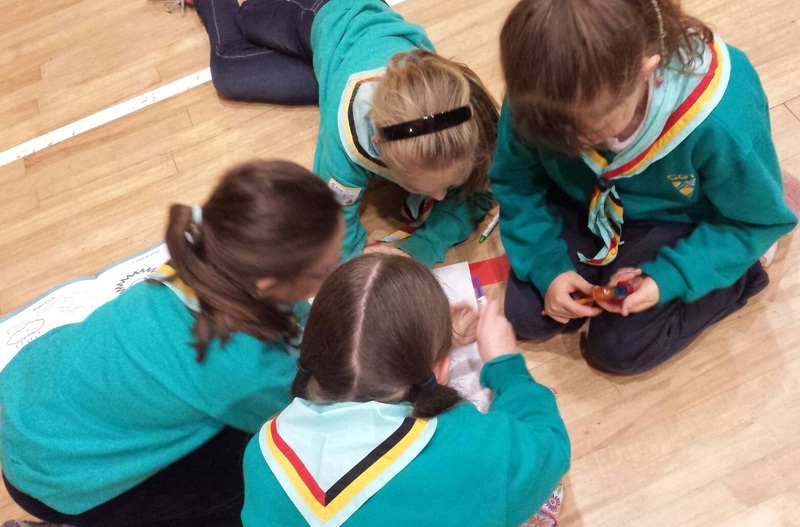 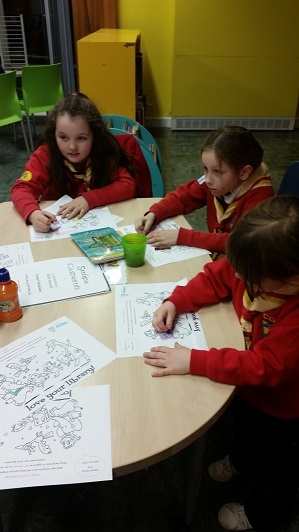 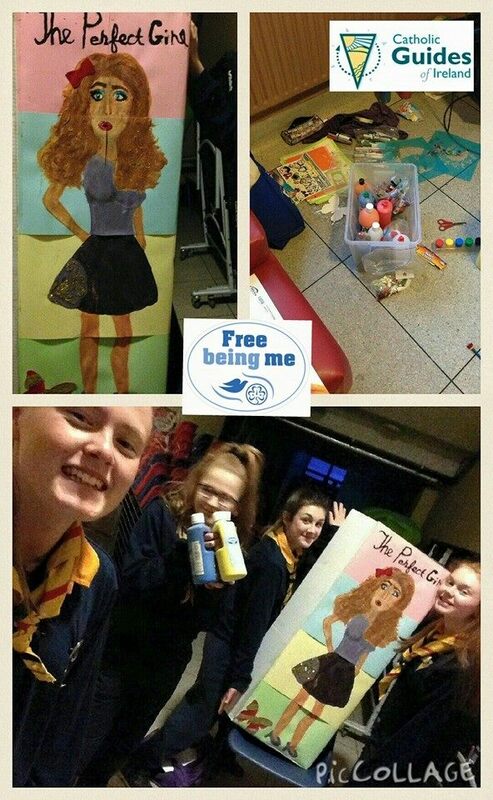 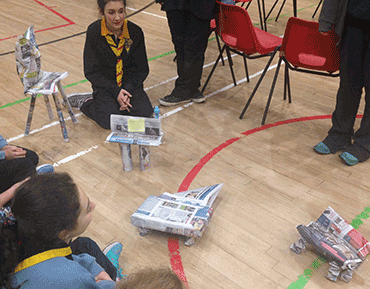 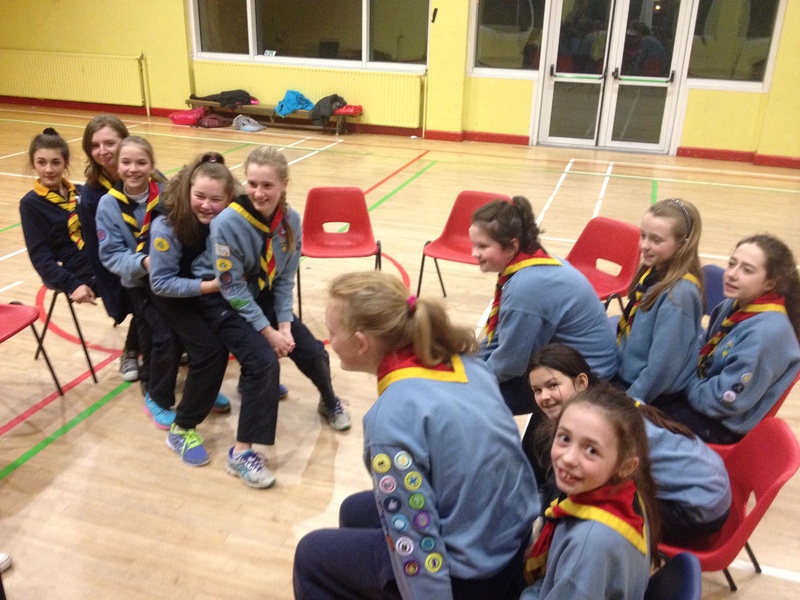 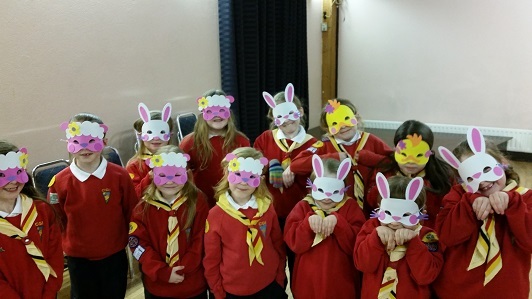 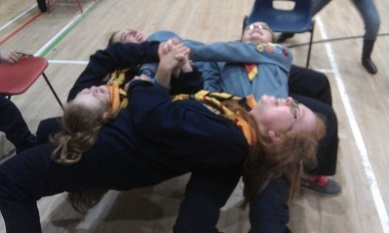 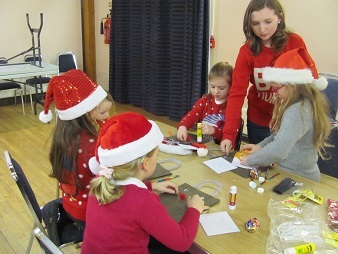 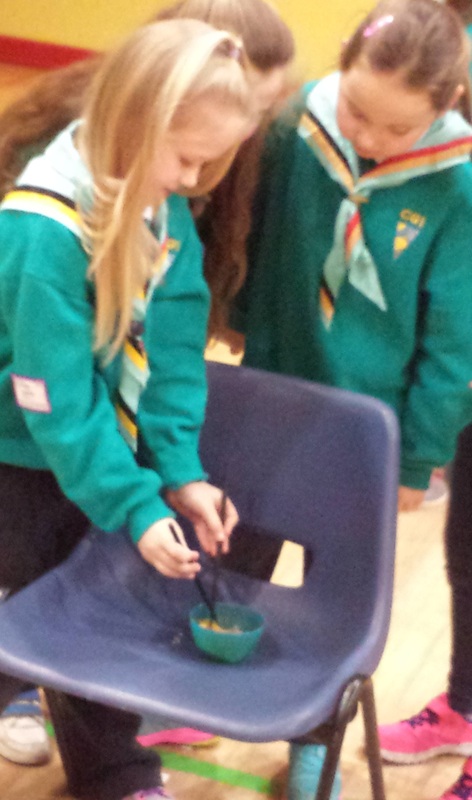 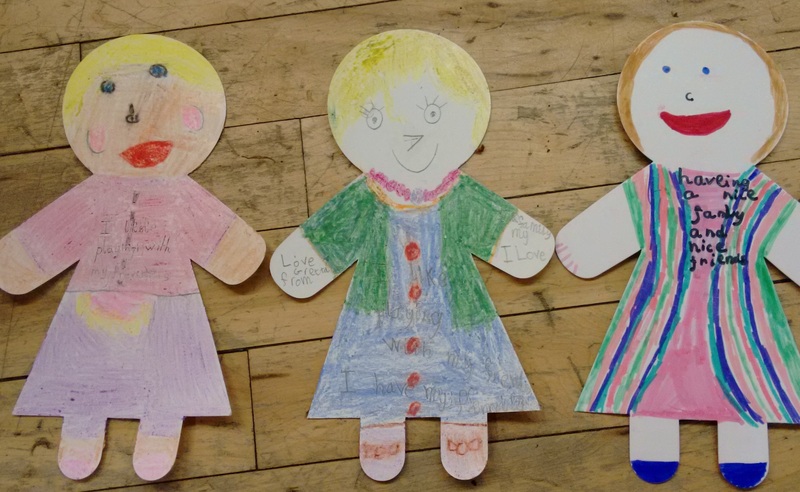 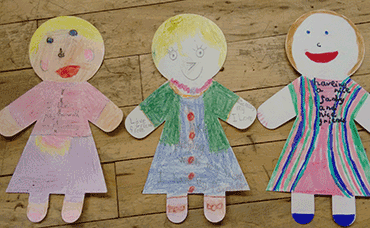 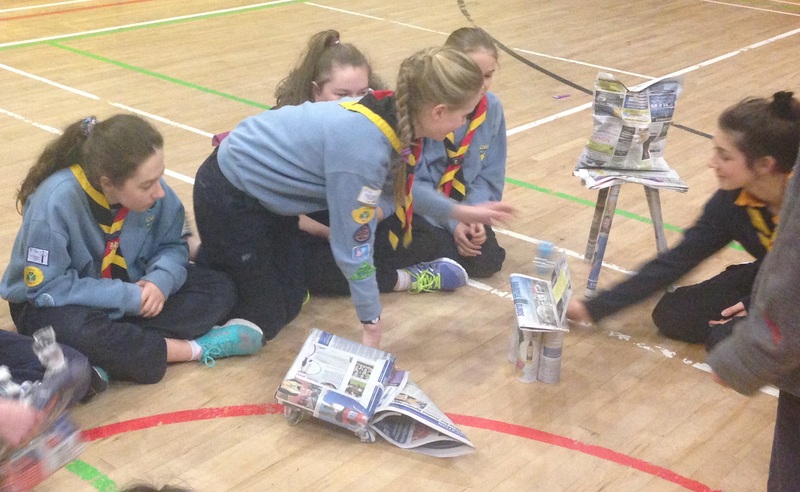 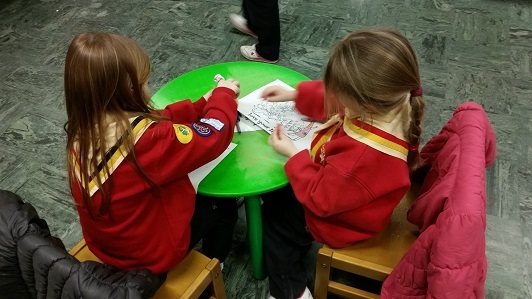 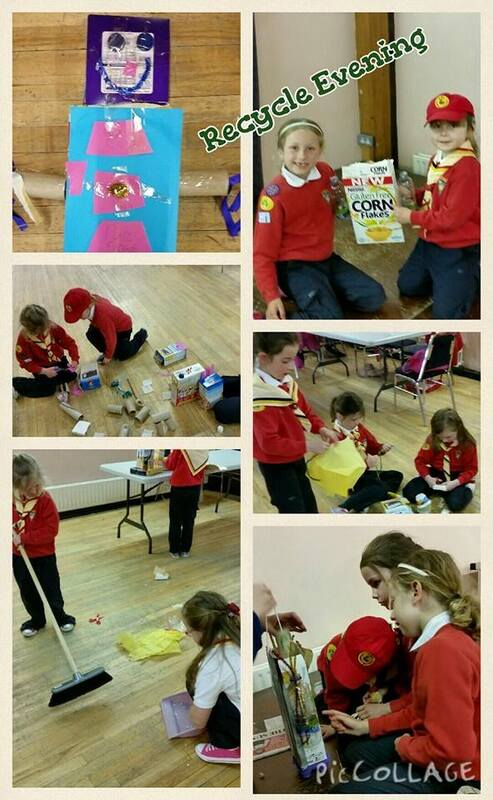 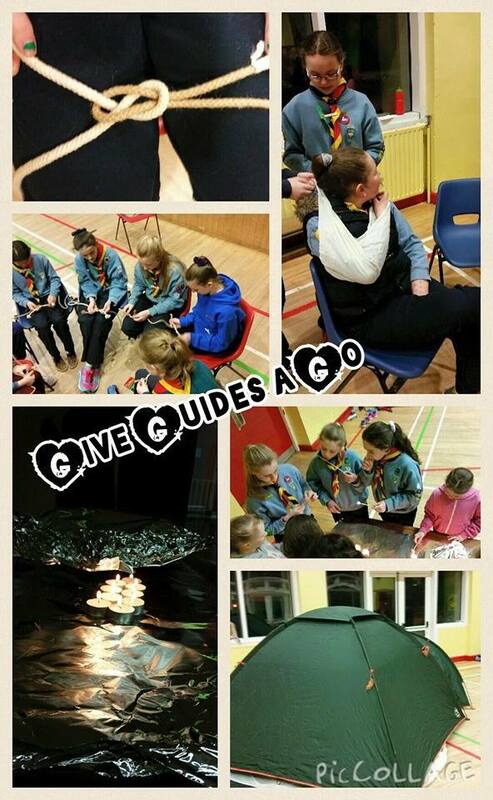 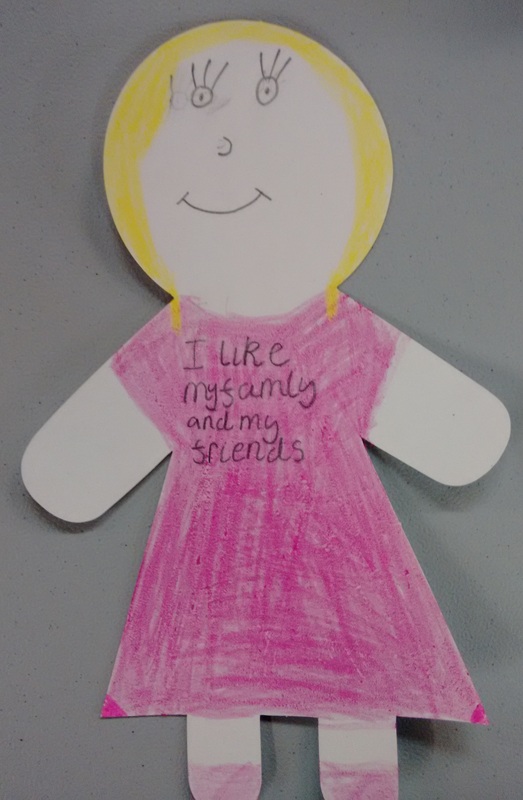 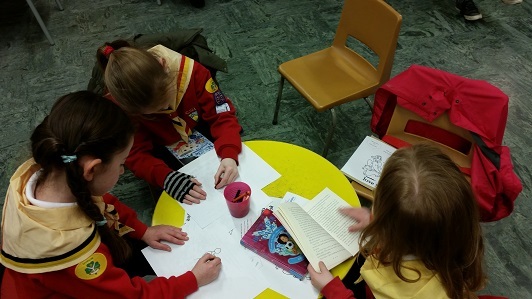 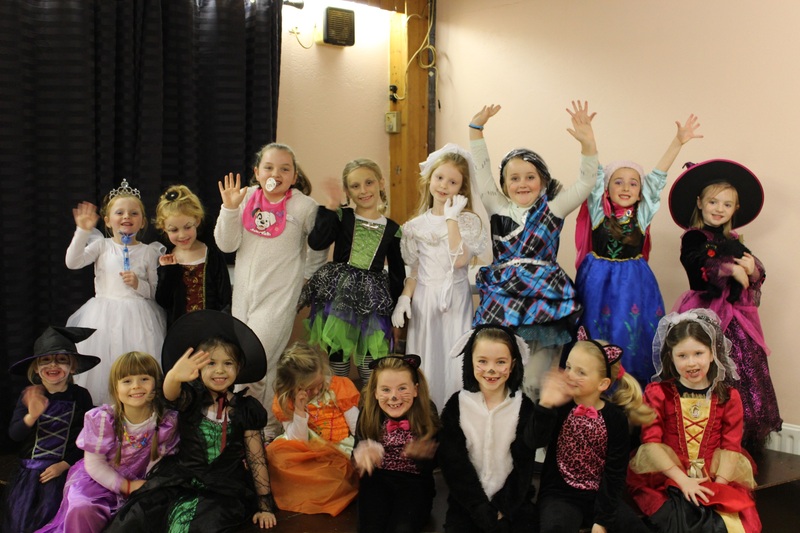 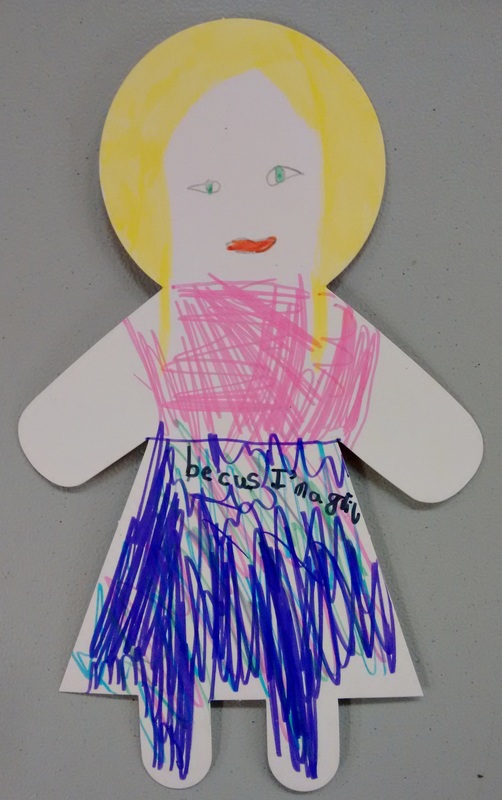 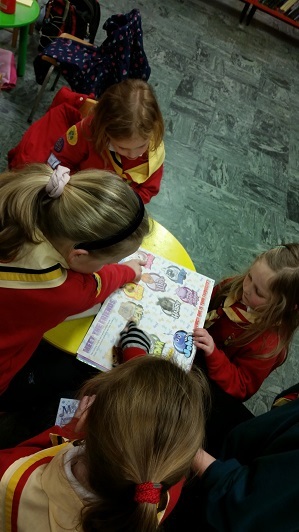 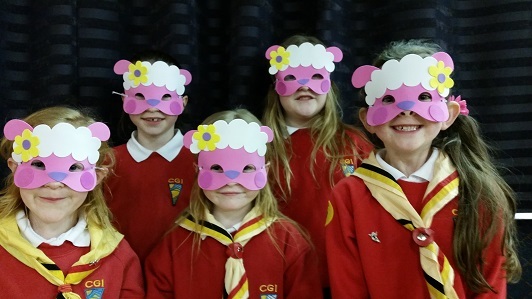 We held an open night at Guides to welcome any girls who wanted to 'Give Guides a Go' and see what it's all about and might like to come down and join. 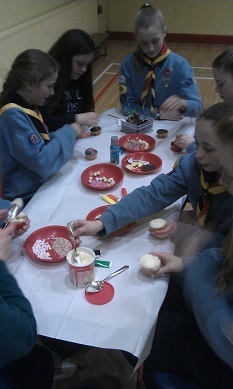 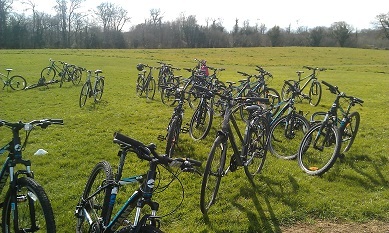 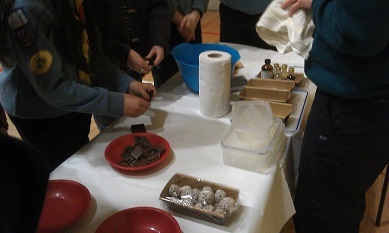 We had a great turn out and everyone enjoyed the night. 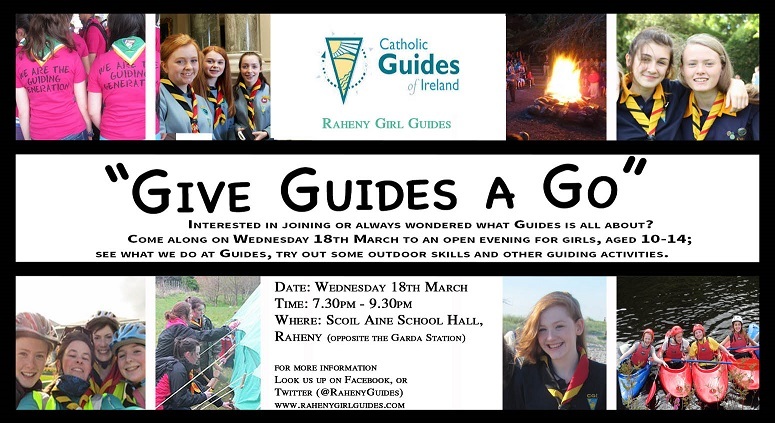 Thanks to everyone who shared our poster to help advertise the event. 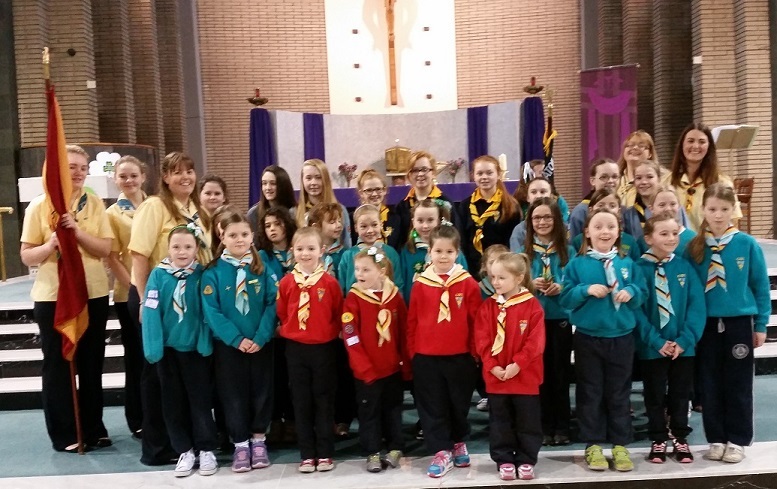 All sections were represented at this year's St Patrick's Day Mass, with each also playing a part in the mass from readers to flag bearers and more. 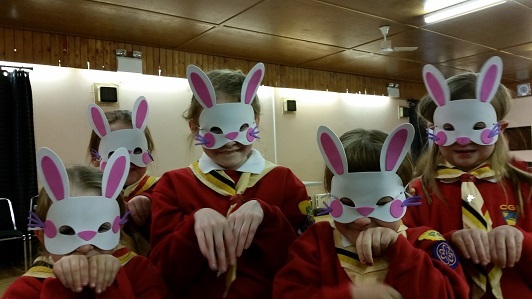 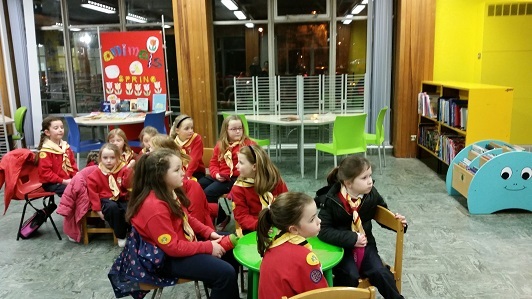 Raheny Cygnets visited the library in Raheny and had a great night learning about all the books they can loan from the library and how the system works when they do. 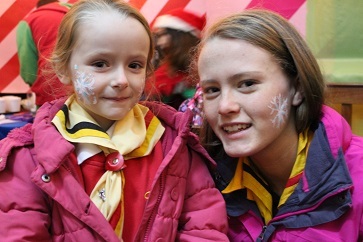 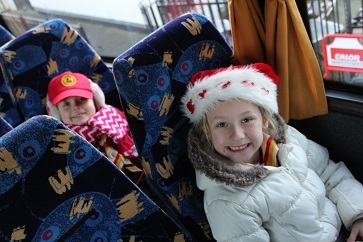 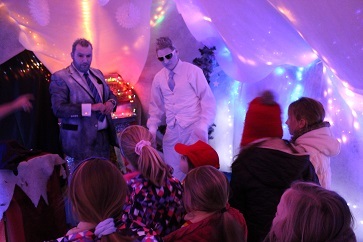 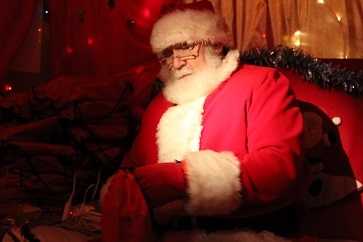 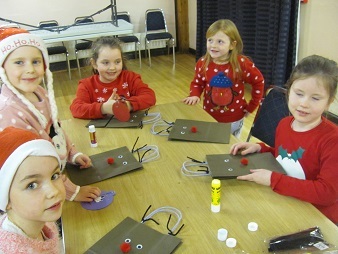 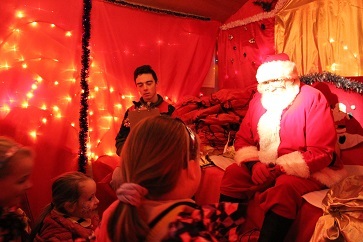 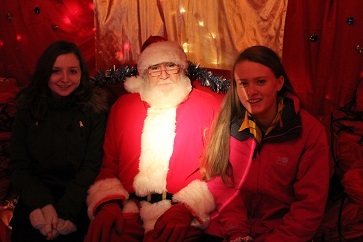 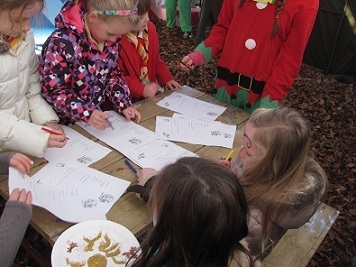 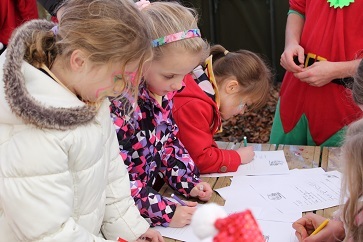 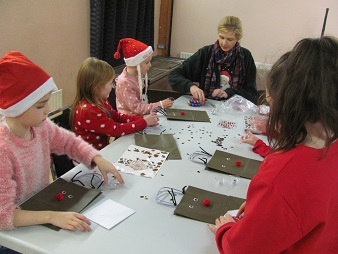 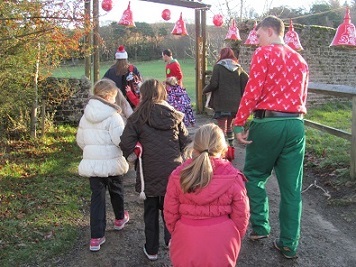 Every year, Raheny Cygnets make a special trip to Larch Hill to visit Santa, his Elves and even Jack Frost. 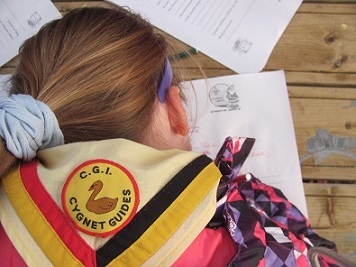 It is a very special trip for all the Cygnets who attend and this year, one of our first cygnets to make the trip almost 10 years ago, returned as a Ranger and enjoyed it just as much as her first visit. 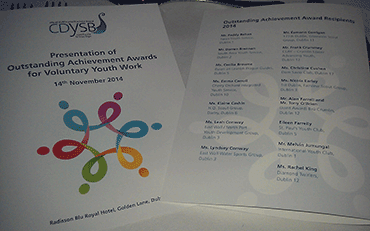 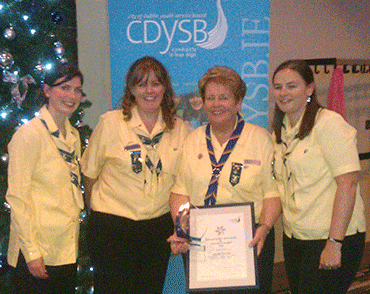 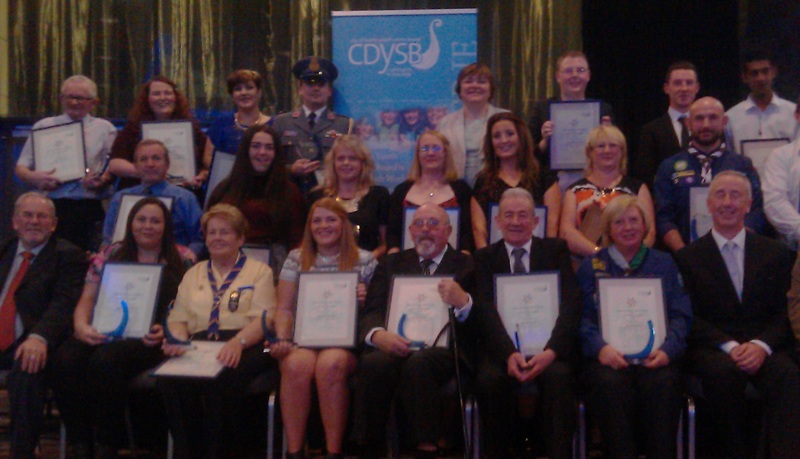 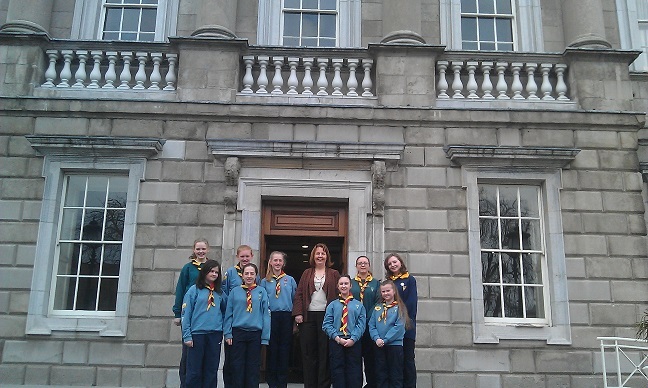 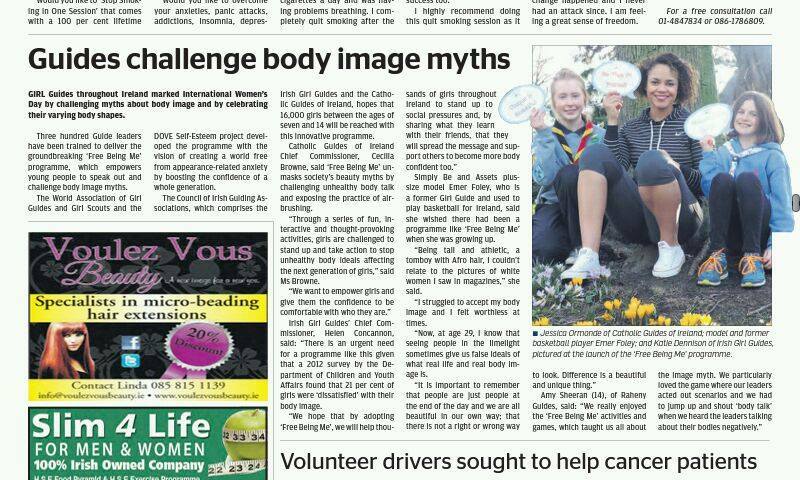 Raheny Guider, CGI Chief Commissioner, and CGI member of more than 50 years, Cecilia Browne, was awarded an Outstanding Achievement Award at the CDYSB ceremony to recognise voluntary youth work on 14th November 2014. 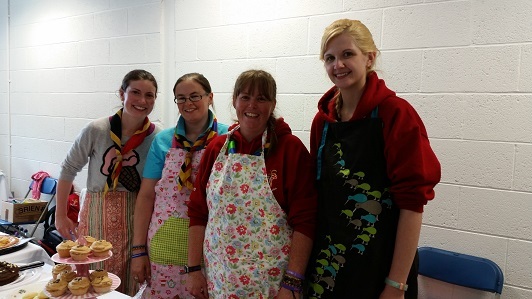 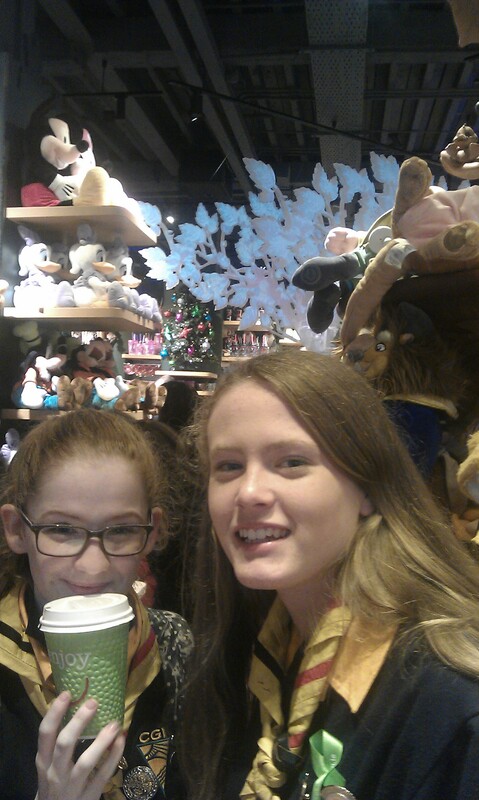 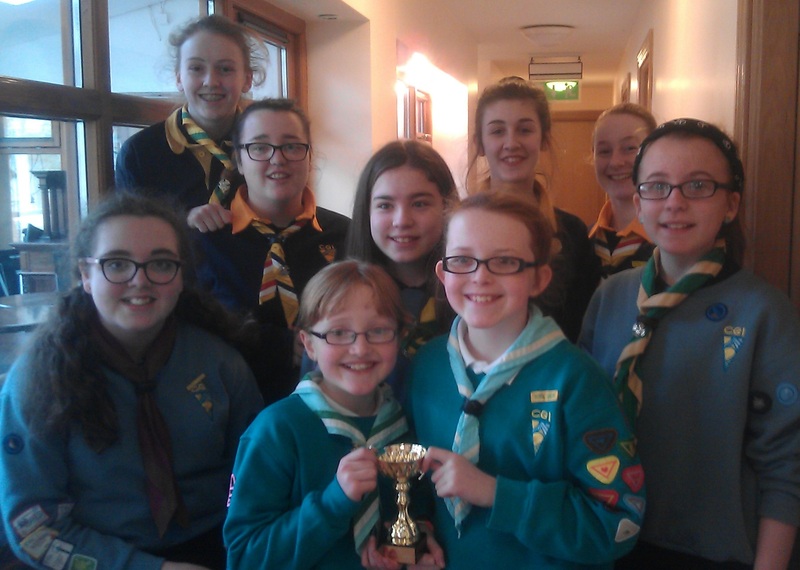 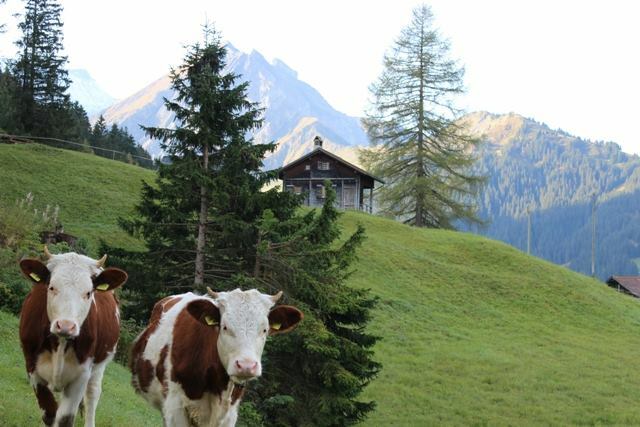 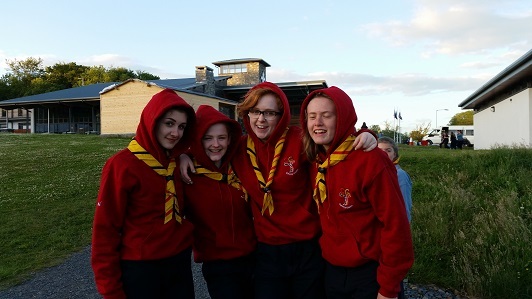 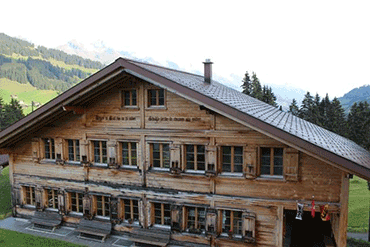 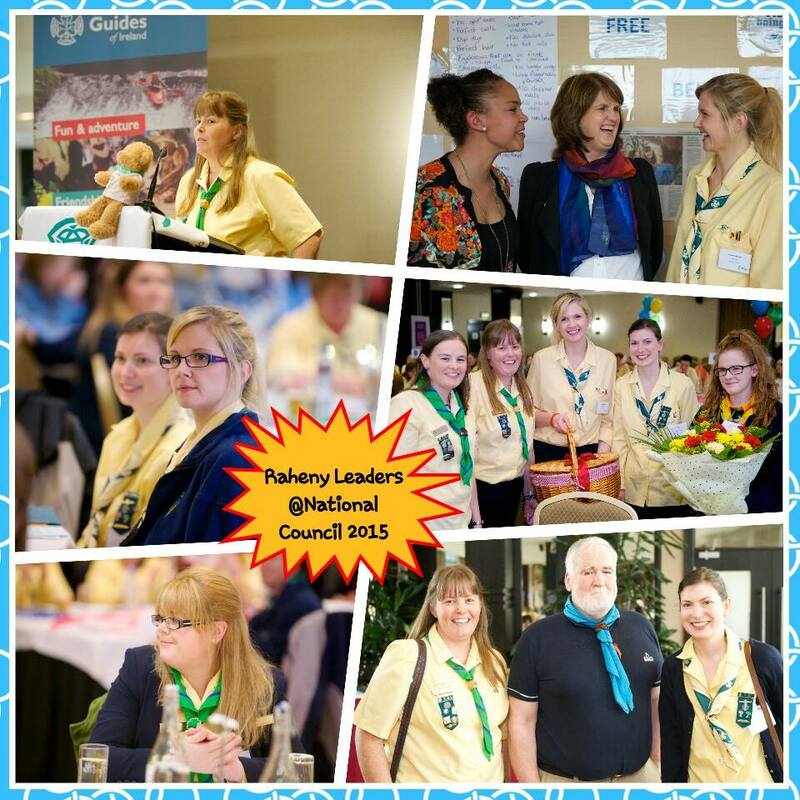 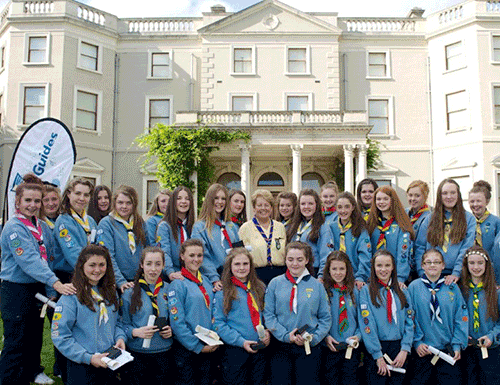 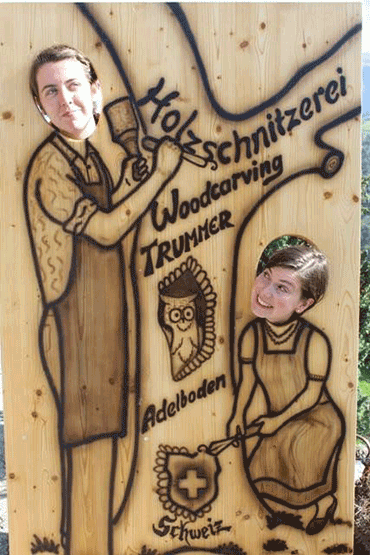 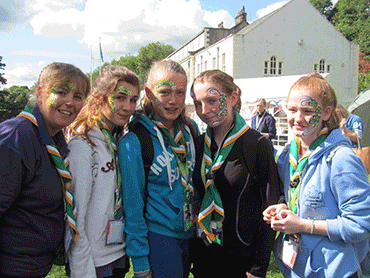 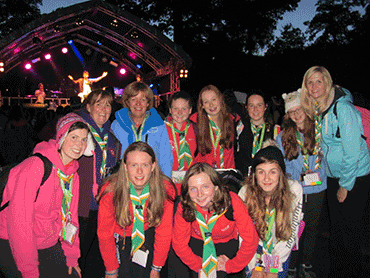 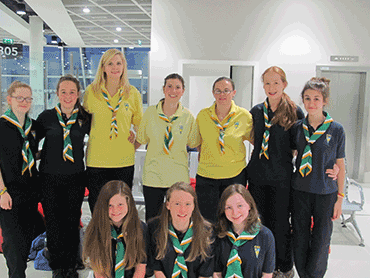 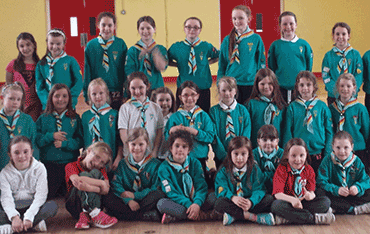 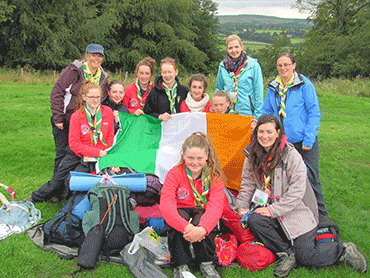 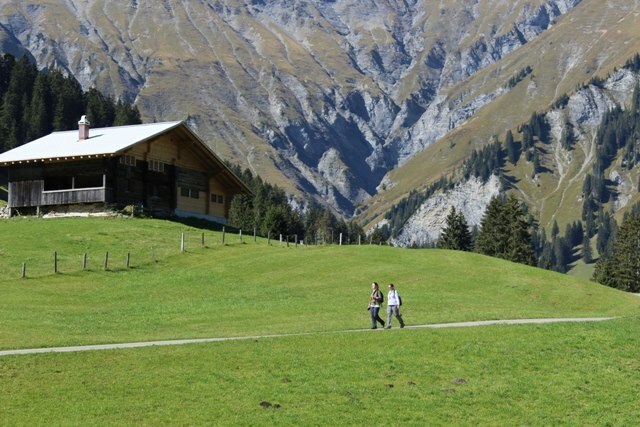 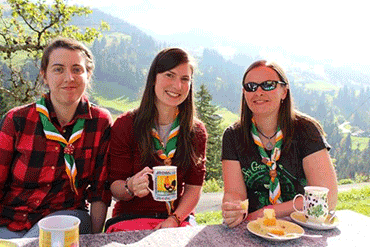 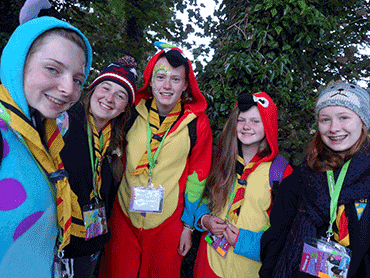 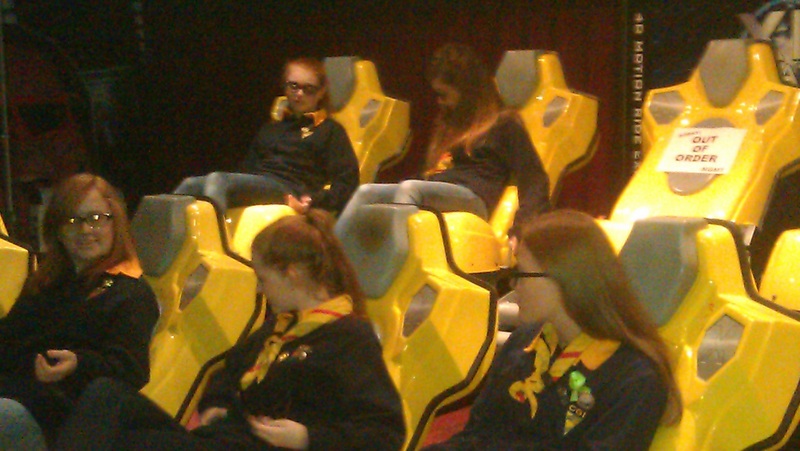 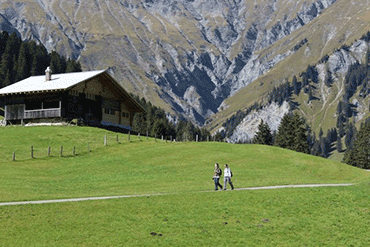 Raheny Guiders took part in a national leaders trip to the WAGGGS World Centre in Switzerland, Our Chalet, in October 2014. Amy Sheeran, Emma Ormonde, and Roisin McDonagh received their Chief Commissioner's Awards at Farmleigh House during September. 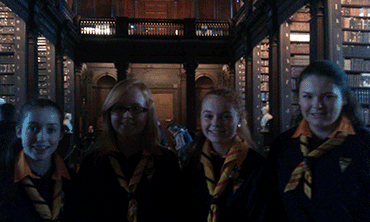 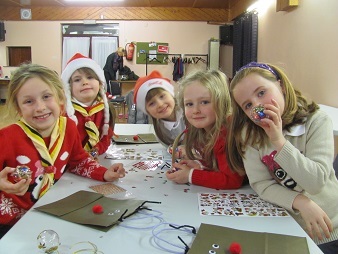 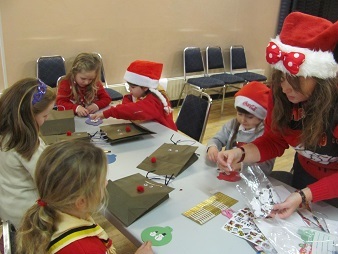 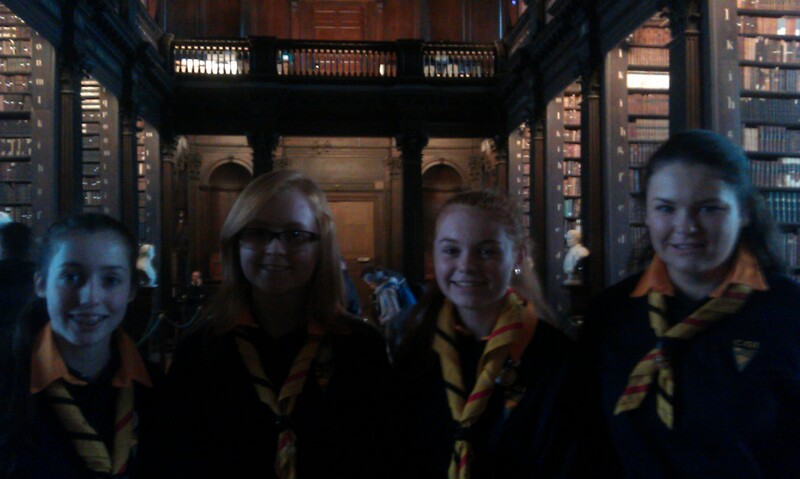 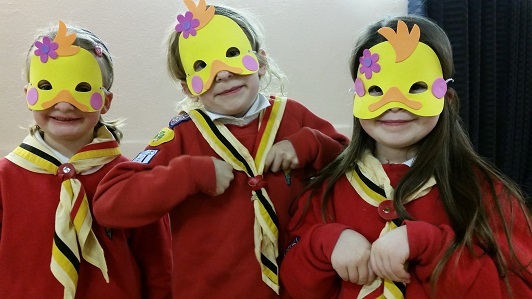 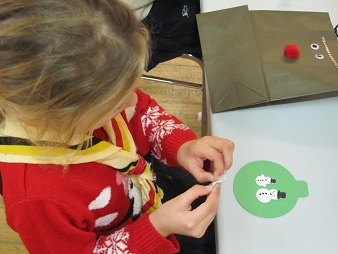 All three girls received the special gold badge, awarded for exceptional participants. 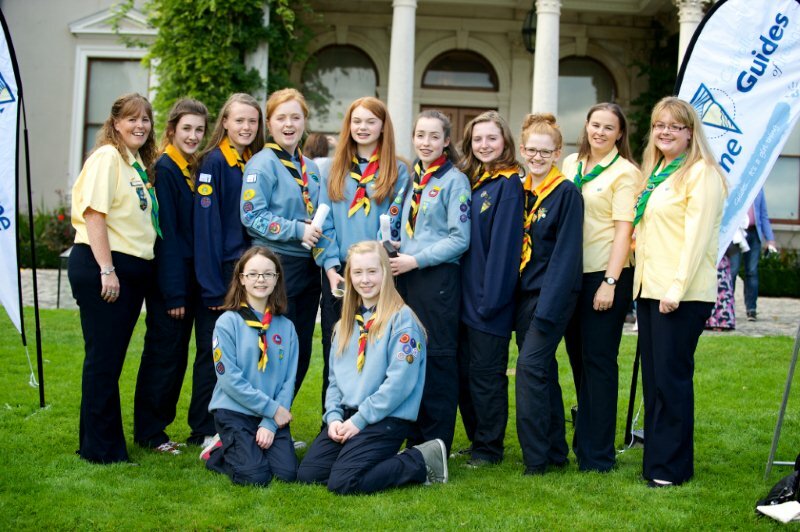 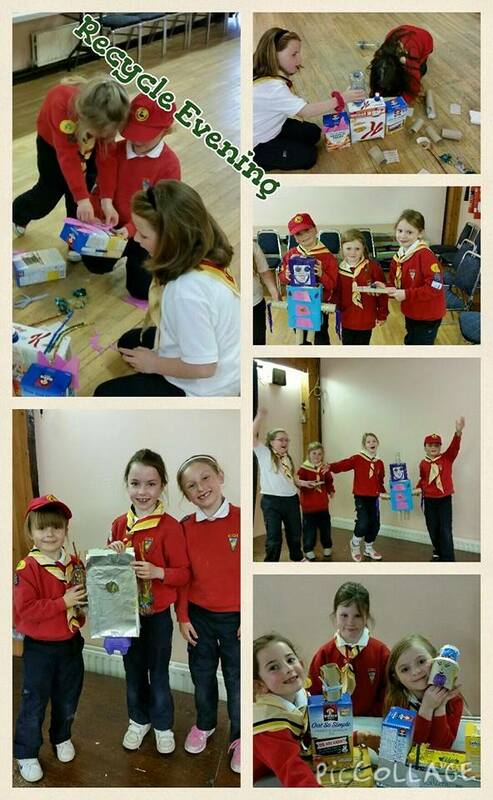 We were all very proud of the girls on receiving their awards and were happy to be there to celebrate with them. 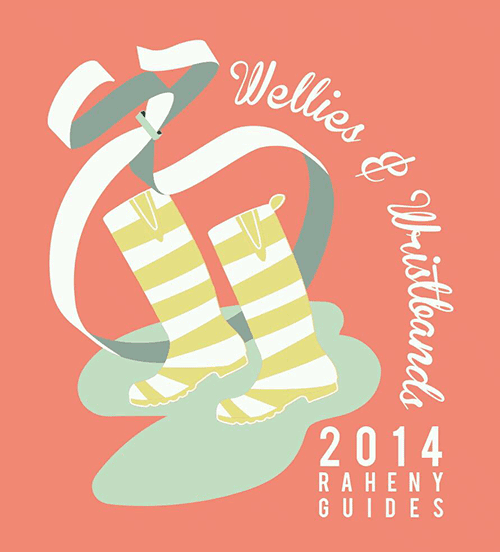 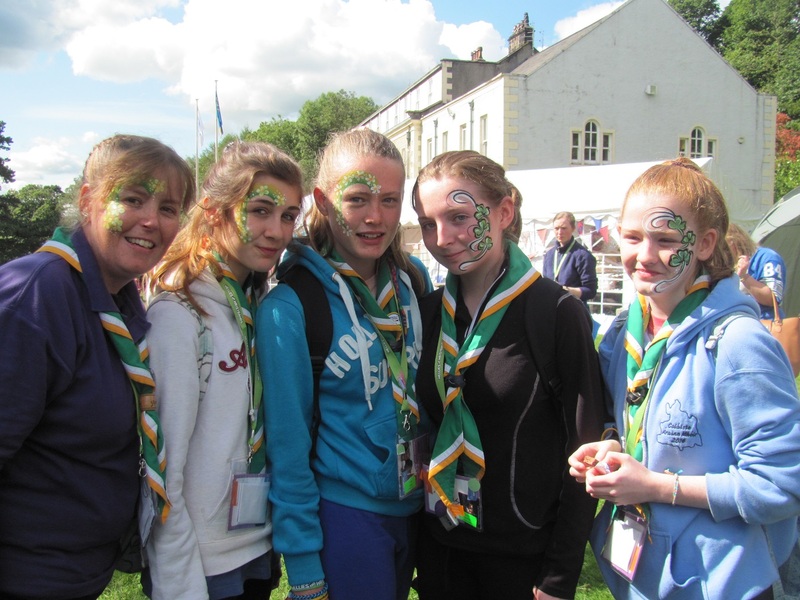 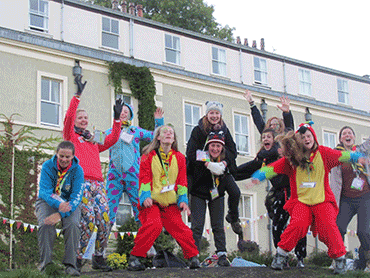 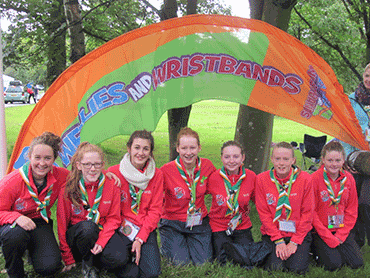 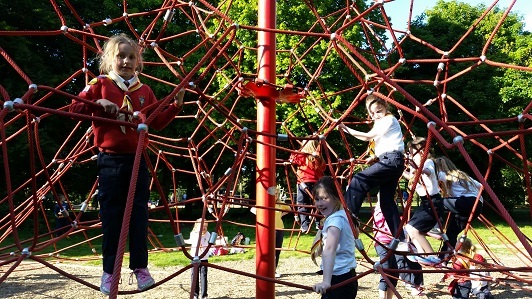 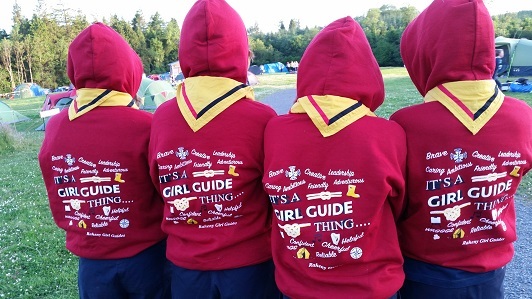 Raheny Guides and Rangers headed to a very special type of guide camp, Wellies and Wristbands, at Waddow Hall Campsite in the UK during August 2014. 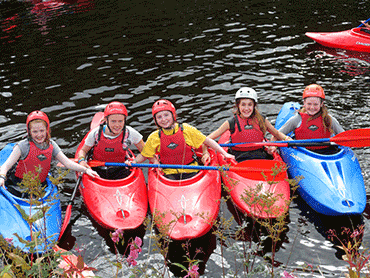 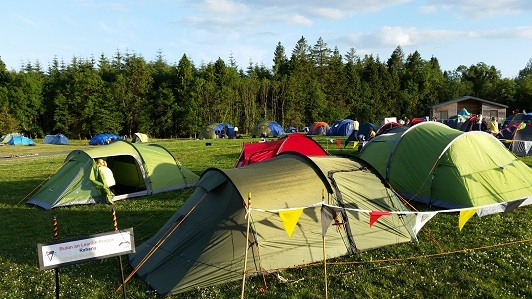 This very special camp included many of the regular Guiding activities from Archery to Kayaking but also included a festival atmosphere along with face painting, hot tubs and late night snack shops, while the bands on the main stage played from 7pm until late (well, 10pm) every evening. 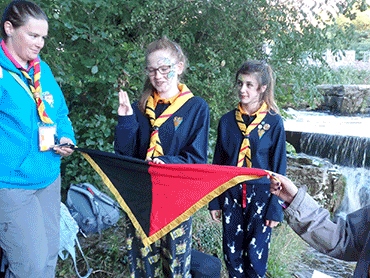 As always, our Rangers take their Ranger promise at special locations and so our latest to move up from Guides took theirs down by the river beside the weir.